Toebow (tō-bō) is not only a band, it is a state of mind and a world of its own. Toebow is playful and lighthearted, yet also severe -- a progressive cartoon rock soundtrack forged from the inner goofs of the human soul. Toebow have shared their new single "Belong," today -- the second to be released from the band's debut EP Spirit Mane, which comes out this Friday. ThrdCoast has the premiere and calls it, "A gorgeous track, replete with the infectious mysticism of acts like Yeasayer or Dirty Projectors, yet delivered with tongue firmly in cheek." The video for "Belong" arrived as a collective dream from the Toebow group mind. The drama portrays an orderly society collapsing into its animalistic unconscious. At a dinner party, the characters mirror one another and defer to the head of the table. They perform the regimented rituals of society but begin to lose their sense of self, fusing their identities into a shared group face. Eventually even the guest of honor joins the mask, leading the group in worship of a sacred pineapple -- the spiky, complicated fruit of the soul. While they once devoured this fruit with orgiastic fervor, they now worship it intact and untasted, summoning the all-seeing chaos Goddess of everything and nothing. They are powerless under her rule, as she has called them "back to where they belong," back to the kingdom of primal instincts. See for yourself, via ThrdCoast. 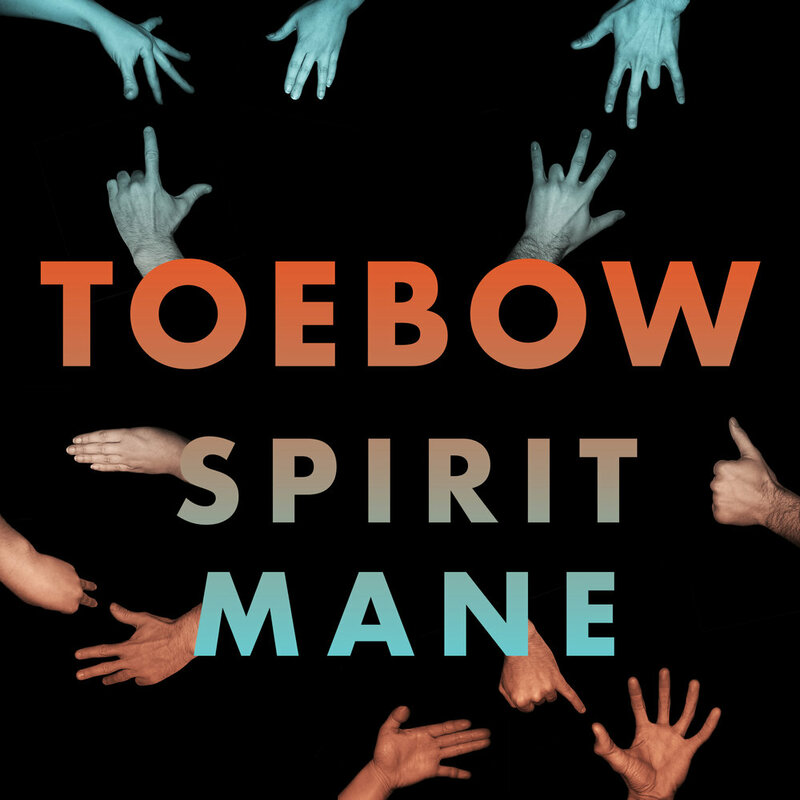 Although Spirit Mane can be considered Toebow's debut release, the band have performed around NYC for years. Toebow began to take shape as the dream-pop group BOBBY (formerly signed to Partisan) was disbanding. Originally conceived in 2013, the band has evolved from a casual guitar duo to a formidable five-piece band, featuring Martin Zimmermann (vocals, guitars, drums), Nate Ulsh (vocals, guitars), Charlie Kessinich (vocals, drums, guitars), Olenka Burgess (vocals, keys), and Jo-Anne Hyun (vocals, bass). Maia Friedman (of Uni Ika Ai) lends her voice to these recordings. On Spirit Mane, guitars swirl in fingerpicking patterns or soar through sky-scraping distorted leads, while drums fluctuate from subtle insistent pulses to elaborate theme parks of paradiddles. Everything else sits atop warm layers of synthesizers and deep bass guitar. Co-produced with D. James Goodwin (Bob Weir, Kaki King, Whitney), quirky overdubs and surreal lyrics emphasize the feeling that you have entered into a bizarre yet nostalgic alternate reality. Toebow will celebrate their debut EP release this Saturday, April 7, at Trans-Pecos. For guest list and media inquiries, including advanced downloads, please contact Caitlin at Drunken Piano.